Vienna, the capital of Austria and at the same time one of the nine Austrian states has 1.7 million residents in an area covering almost 415 square kilometres. This makes Vienna not only the largest and the most populated Austrian city, but also the city with the highest population density. On an average there are 4132 people living in every square kilometer of Vienna. Vienna, the Austrian capital located in the eastern part of Austria between the north-eastern foothills of the Alps, offers the best quality of life worldwide and is very popular among tourists. 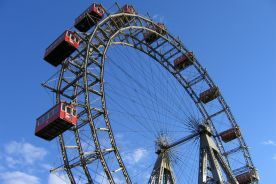 The innumerable tourist attractions in Vienna including the Schönbrunn Palace, the St. Stephan's cathedral, Vienna's Prater Park with the Giant Ferris wheel and the Belvedere castle bring millions of tourists to the Austrian capital every year. Creations and works of several famous classical musicians including Mozart and Haydn have earned Vienna the reputation of a classic capital city of music. Vienna is also highly regarded as a healthcare location. The Austrian city has 41 hospitals in total and these include the Hospital of the internationally acclaimed University of Vienna. All these hospitals together have almost 13,500 hospital beds and employ 6260 doctors. About 600,000 patients receive treatment in these hospitals every year. Besides, there are about 5000 practicing doctors and 2300 dentists working in Vienna.